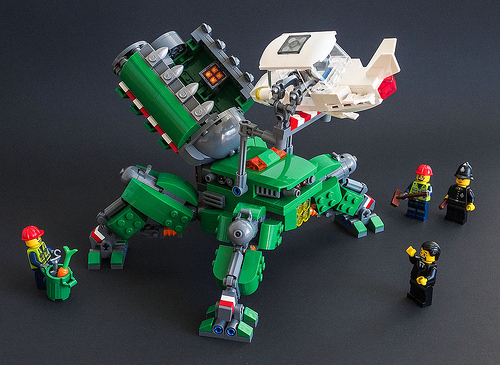 Galaktek brings us a whimsical creation that looks like it would be right at home in The Lego Movie. It looks completely ridiculous and over the top for garbage collection, which is part of what makes it so great. Watch out for those dumpster claws! Well, I’m almost positive this is made of parts from 70805 Trash Chomper (from the Lego movie). So your comparison is apt.